Mountains, beaches, oak trees and peaches - that's Georgia! A rich history and fine climate help make a Georgia romantic weekend getaway unforgettable. 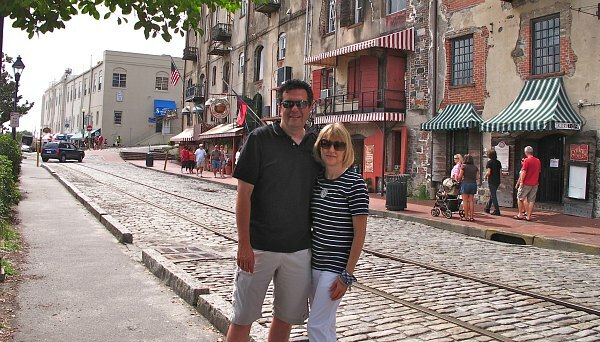 Savannah is easily one of the most romantic places in Georgia. Southern history and tradition come together in this eclectic city just 18 miles from the Atlantic. River Street is an attractive historic district in Savannah where you'll find some interesting shops and cafes to explore. It's one of the stops on the Old Town Trolley Tour, and the River Cruises board right across the street. There's some nice options for romantic Savannah restaurants nearby, like the Olde Pink House (23 Abercorn Street, 912-232-4286). Places to Stay in Savannah: this city in Georgia is home to some very historic and romantic hotels and B&B's, like the Planters inn and Hamilton Turner Inn. Elegant & comfortable, these Victorian inns tucked away in the heart of the historic district. 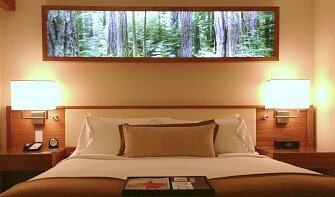 (You'll fall in love with all the luxury amenities, including fireplace and hot tub master suite). Savannah Riverboat Dinner Cruise - come on board the paddle boat Georgia Queen, relax and enjoy great views of the Savannah riverfront, and then a sumptuous dinner and live entertainment. Old Town Trolley Tours - if you prefer a motor in front of you, this tour offers that and a pretty good circuit through the best parts of the city, with interesting commentary on the history and architecture of Savannah, and plenty of pick-up spots near hotels, etc. Savannah Carriage Tours - one way to soak up the flavour of old Savannah is by a horse-drawn carriage ride. Carriage Tours of Savannah is easy to find on the corner of Jefferson St & W. St. Julian St (just west of Ellis Square). Kennesaw Mountain National Battlefield Park - just a short distance from Atlanta (25 miles NW), and the views of Atlanta and the surrounding landscapes are worthwhile. Helen, GA - this little Bavarian-style settlement is an easy day trip from Atlanta. It's even got it's own Octoberfest, along with some fun romantic activities like inner tubing on the Chattahoochee River and hikes in nearby Unicoi State Park. 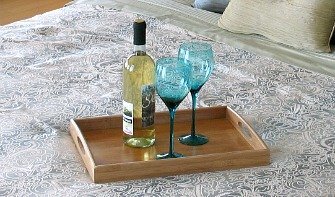 North Georgia Romantic Cabins & Cottages - check out FlipKey.com's wide selection of romantic cabins & vacation home rentals in the North Georgia mountains for a very private and romantic Georgia getaway. 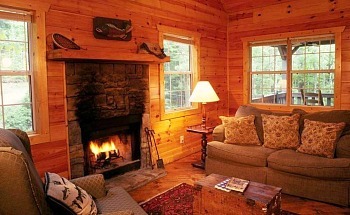 Many come fully outfitted with fireplace, private porch with hot tub, and views of the Blue Ridge Mountains. Barnsley Gardens is one of the most romantic resorts in Georgia. There's 1,300 acres of everything from golf and spa treatments to horseback riding and walking trails. 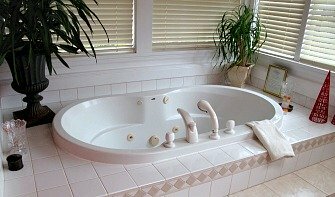 Their luxury suites are nestled in the foothills of the Blue Ridge Mountains, just 75 minutes north of Atlanta, GA. (877) 773-2447. 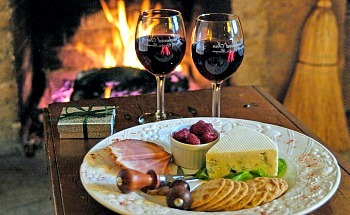 For your Georgia honeymoon, they have an all inclusive package in a luxury cottage, including champagne on arrival, a horse drawn carriage ride, couples massage, and all meals (even a picnic lunch for two). 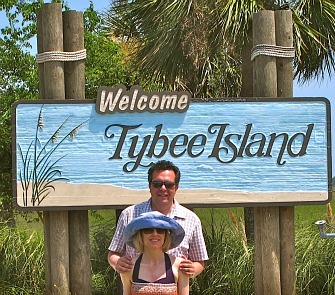 Tybee Island - an attractive ocean side settlement east of Savannah with a fine wide beach for swimming and relaxing. A climb to the top of the Tybee Island Lighthouse is one of the most romantic things to do in this part of Georgia, and you'll love the views of the islands and ocean. Tybee Island Romantic Places to Stay: the DeSoto Beach Bed and Breakfast kind of gives you the best of both worlds: the hospitality of a small inn, with free access to the DeSoto Beach Hotel's pool next door! You can walk to the beach in about a minute, and you'll come home each evening to wine and cheese and some time to kick back on their great porch hammock. 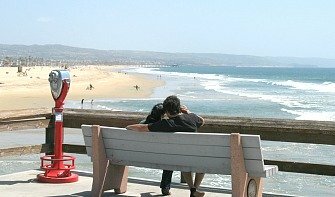 Brunswick - another must-see stop on the romantic Georgia coastline. Don't miss the picturesque Hofwyl-Broadfield Plantation, or a peaceful picnic on the dock at the Marshes of Glynn. Cumberland Island National Seashore - one of the more secluded spots in Georgia, and you'll discover stretches of beautiful shoreline here just perfect for long walks, beach combing and wildlife viewing. St. Simons Island - certainly one of the most romantic small towns in all of Georgia, with lots of possibilities for romantic picnics, exploring boutique shops and just kicking back on the beautiful white sand. A stroll on the pier is fun, and the old-fashioned trolley ride is one of the finest in the South.